That’s where an understanding of cell phone antennas comes into play. You see, in the olden days, there was a big honkin’ antenna attached to the phone, and you knew it was an antenna. It was hard to miss. But in today’s phones, the antennas are generally flat, and integrated into the housing of the phone. One problem: you hold the phone in your hand. Guess what that means? Now, modern cell phone systems use “intelligent power control technology”. That’s a fancy way of saying that the phone’s radio transmitter regulates itself to maximize battery life and call quality. 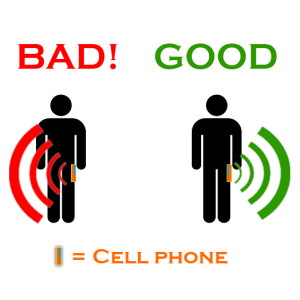 If your hand is covering the antenna, your phone uses more power to transmit a stronger signal, and your battery is eaten up more quickly. Obviously, if your phone is sending out a stronger signal, you’re also being irradiated more than you need to be. Oops! 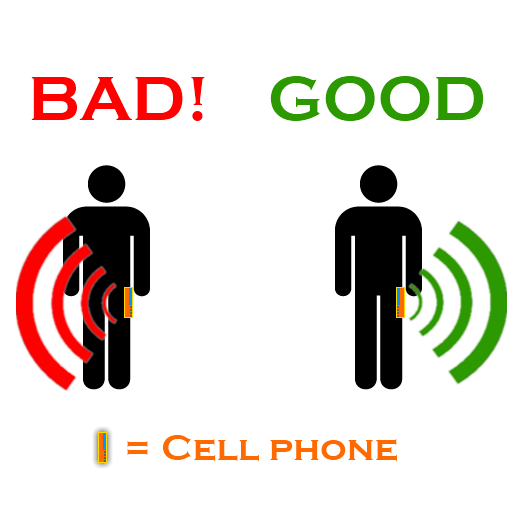 On most modern cell phones, the antenna is integrated into the top of the back of the phone. In that case, hold the phone from the bottom when using it. Some other phones have the antenna on the bottom of the back side of the phone. And still other phones have 2 antennas! You can look in your phone’s owner’s manual to find out where the antenna is located. 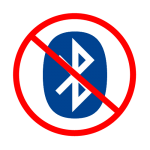 If you know where the antenna is, you can make sure you don’t block it, thereby getting more life out of your battery and less EM radiation exposure. Better yet, use a corded earpiece and microphone. Yes, I know… Those wireless Bluetooth earpieces are ALL the rage… but they also usually operate at 2.4GHz, which is still probably bad for your brain. There’s no point in replacing one microwave transmitter near your head with another one! Now that you know where your phone’s antenna is located, you can also orient it on your person or when driving your car so that the antenna is facing away from you and out a window. Or, if you’re at the office, don’t place the phone screen-up on your desk – place it screen down. Better yet, position the phone so as to aim the antenna out a window. And then you can impress all your friends with your newfound technical knowledge! Uh, did you forget something? Where is the info on maximizing battery life? Did you forget that is literally in the name of the article and is promised to be in it in the 4th paragraph? Or is how you hold your phone supposed to increase battery life too?